Loss prevention is essential to the success of any business operation and that critical responsibility is no different to those in the restaurant industry. The Restaurant Loss Prevention & Security Association (RLPSA) offers restaurant LP professionals the opportunity to become involved in strengthening education, best-practices, legislation, services and technologies benefiting those whose responsibilities are to protect company employees, customers and assets. The RLPSA provides unparalleled industry networking and education to LP and security practitioners in the restaurant industry – including the QSR, casual dining and franchise professional. Founded in 1979, as the National Food Service Security Council, the group recently changed its name to better reflect the make-up of its membership. RLPSA is a community of restaurant loss prevention and security professionals focused on helping its members minimize losses and reduce liabilities, while protecting customers and employees. RLPSA members are comprised of franchise and restaurant chains with as few as a dozen stores, to the largest restaurant brands in the world. RLPSA members pride themselves on sharing collective expertise, knowledge and solutions to the challenges LP and security professionals face every day – with a goal to make our members more efficient and successful in their jobs. As a member-run organization, we share information about industry trends and connect a network of peers who understand the unique challenges of the job, and who collaborate to find the next best solution. We create a forum for discussion and problem-solving, so that our members benefit from shared expertise. We provide professional development opportunities that are designed to meet the specific interests and concerns of restaurant-industry professionals, and we advocate for regulations that will make our workplaces more safe and secure. RLPSA is serious about meeting the needs of all niches within restaurant’s loss prevention and security industries. That is why we have created specific committees authorized to lead on matters that affect our members and to communicate specific issues and initiatives. Examples include the Safety, Social Media and Program Development committees. From research and studies to white papers and education programs, RLPSA uses a variety of methods to educate and inform our members. Our signature event is the annual conference. Held throughout the U.S., the annual conference is a three-day program filled with leading educational content, C-level executives from the restaurant industry and numerous networking and information exchange opportunities. This year, the annual conference will be held August 3-6, in Orlando, FL and feature Steven Davis, Chairman and CEO of Bob Evans Farms, as well as an insider’s look at security at Disney World venues. Today, RLPSA represents 90+ different restaurant brands and represents nearly 200 restaurant LP and security professionals. For more information on RLPSA and membership, please visit www.RLPSA.com, or contact 240-252-5542. 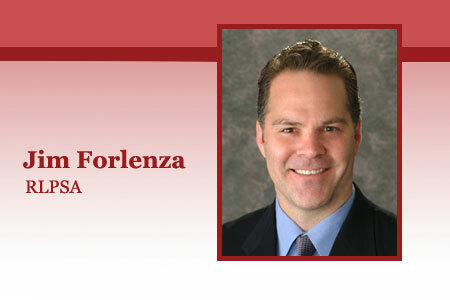 Mr. Forlenza is the staff leader for RLPSA, overseeing all of the organization’s daily business activities. His background is primarily in business development, having served as vice president of an international events and conference organizer for 15 years – overseeing business development, M&A opportunities and business operations on four different continents, while creating and overseeing events in more 20 different countries – including Cuba, Libya, Russia and Korea. Additionally, Mr. Forlenza has built and sold his own events business and has served as lead consultant for new business development and events creation for several leading U.S. trade associations.